Where were most theaters built? (in or out of the city)? Why? 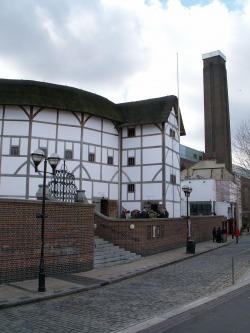 Why is the Globe Theater so famous? What time of day did performances take place? How was the public notified about performances? Who played the female roles and why? What type of scenery and props were used? What other skills did actors need besides acting ability? What was the cost of standing room at the Globe? Who were the King's Men or Chamberlain's Men?